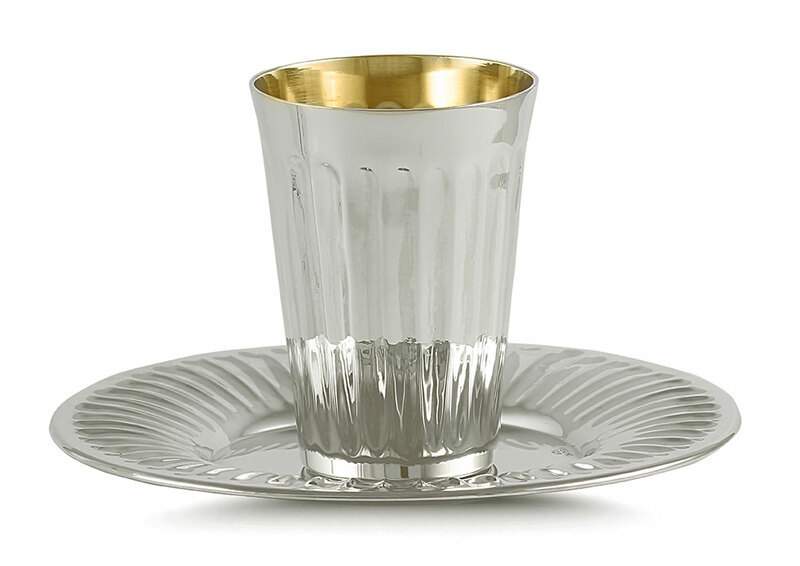 925 Sterling Silver Kiddush Cup set - Cup and Tray. 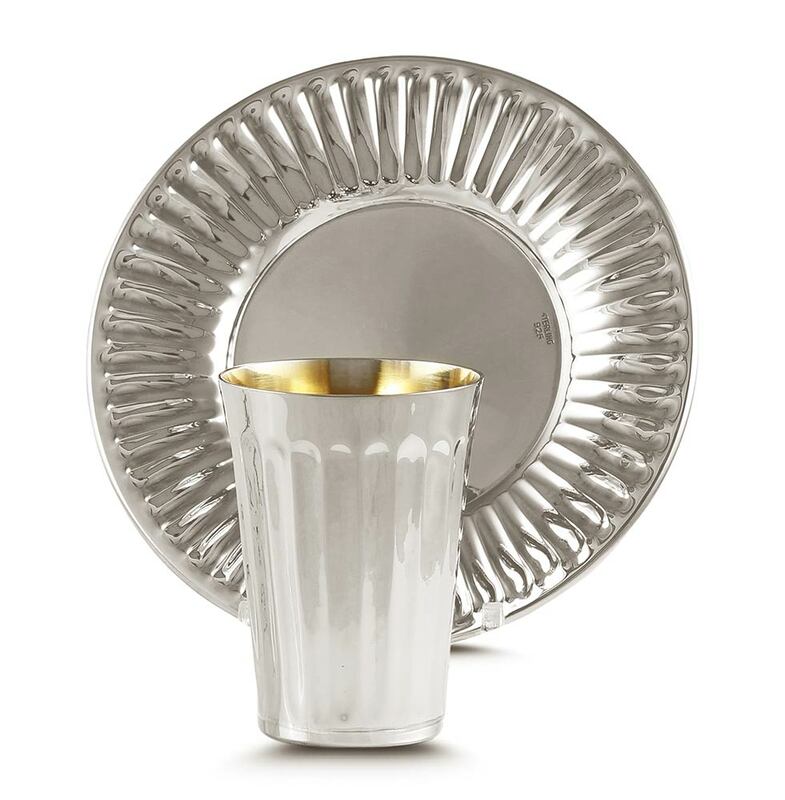 This design features a truly classic smooth flowing pattern of fluted grooves on cup and tray. The interior is gilded as shown. Sterling silver, the ultimate in Jewish gift giving for centuries. Invest in future generations, a sterling silver item will always be cherished and handed down for generations to come.